I have a vague, dusty memory somewhere of my mum making coconut macaroons. Specifically, the rice paper underneath and the wonder that you could actually eat it. They weren't the delicate Ladurée type, but larger, more like a soft coconut biscuit. They were delicious. I haven't had them for years, and while I was making batch after batch of pink and white macarons for a shoot, I decided to polish the memory and make some of my own. They are a lot more forgiving than the delicate egg white and sugar version, the coconut helps hold the mix together and allows it to keep its shape while it rises. If you're lucky, you should get the prized 'feet', but don't be disheartened if not, they still taste great. They may take just a little practice, but once you get it, you get it. Use rice paper on the base if you like, and feel free to sandwich them together with a chocolate ganache, orange blossom buttercream or something like that. I like the hint of rose with these. Leave them for 24 hours to mature if you can and be warned, they're very moreish. Method Whisk the egg whites until they form stiff peaks then whisk in the caster sugar until glossy. Sieve the icing sugar and almond together into a bowl then gently fold into the egg whites until you have a smooth, batter-like mixture. Stir in a few tablespoons of the coconut and a pinch of some crumbled rose petals, put into a piping bag and pipe four centimetre circles onto a baking sheet lined with greaseproof paper. Whack the tray on the bench to force out any air bubbles. This should prevent them cracking as they rise. Leave to rest for about 30 minutes, until they are no longer sticky. This will make them rise rather than spread. Heat the oven to 150c and bake the macaroons for ten minutes. Leave to cool then gently peel off the paper and store for 24 hours in an airtight container to improve the texture. 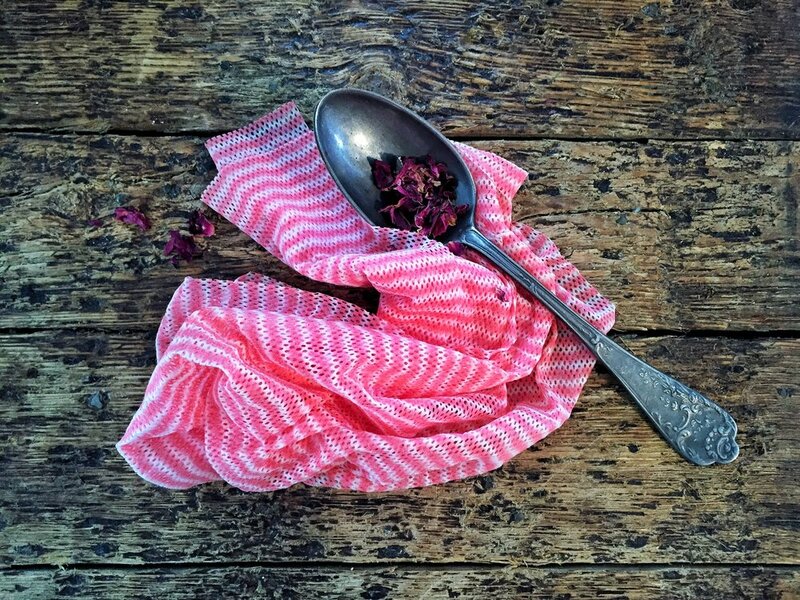 Sprinkle over the remaining rose petals and serve with cardamom coffee.